It’s worth it if you like to have internet on your work devices wherever you go. We hope you like gold, though. We see a lot of good deals for the smaller 9.7-inch iPad, but the iPad Pro often doesn’t get a lot of discount love. Today is one of the exceptions, though, as B&H is selling the rose gold 10.5-inch iPad Pro with both WiFi and LTE for just $929Remove non-product link. That means you’re saving a whole $200 bucks off the usual price of $1,129. If you don’t feel like you need the LTE connectivity (and you don’t mind a gold iPad), you can also pick up the Wi-Fi-only version in gold for $100 offRemove non-product link, bringing the price down to a more agreeable $849. 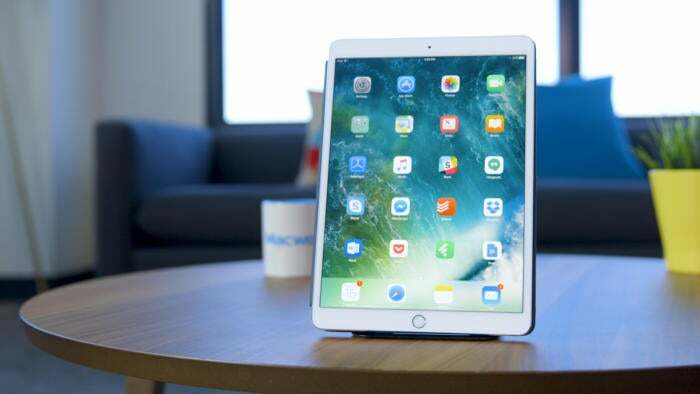 We said in our review of the new 9.7-inch iPad that it serves as a decent alternative for the iPad Pro for a lot of folks. It’s fast, it’s portable, and as of this year it supports the Apple Pencil, which used to be the main attraction of using an iPad Pro. But there are still a couple of major reasons why you might prefer to have an iPad Pro beyond the larger screen. It’s an especially good tool for artists, as Apple’s “ProMotion” technology boosts the display up to 120Hz. In the process, it captures the most minute gestures you make with the Apple Pencil more accurately. That also makes it a slightly better tool for simply writing notes with Apple’s stylus, as that same accuracy allows you to write smaller than you would on the 9.7-inch iPad. For that matter, the iPad Pro has a laminated display, which means the glass rests right against the digital interface. You have a very slight gap with the regular iPad, and it’s enough that you might feel like there’s a tiny disconnect between where you meant to land the Pencil and where it actually lands. It’s not enough to ruin the experience, but you definitely notice the difference when using an iPad Pro. There’s a chance, of course, that Apple will soon be releasing new iPad Pro models, and they’ll likely support features such as FaceID. But these models will almost certainly be priced at the current retail prices for at least half a year, and there’s a chance that they’ll be even more expensive. If you’re wanting a Pro product without spending too much cash (and you don’t care much for Face ID), in other words, this is still a good deal to act on.